It's Swag Bag Sunday over on the Paper Issues blog, and of course I had to play along ;) I love getting the swag bags each month, they're filled with lots of fun little bits and pieces! For this layout I mixed and matched pieces from several months bags, and only added the background paper and the gold title. 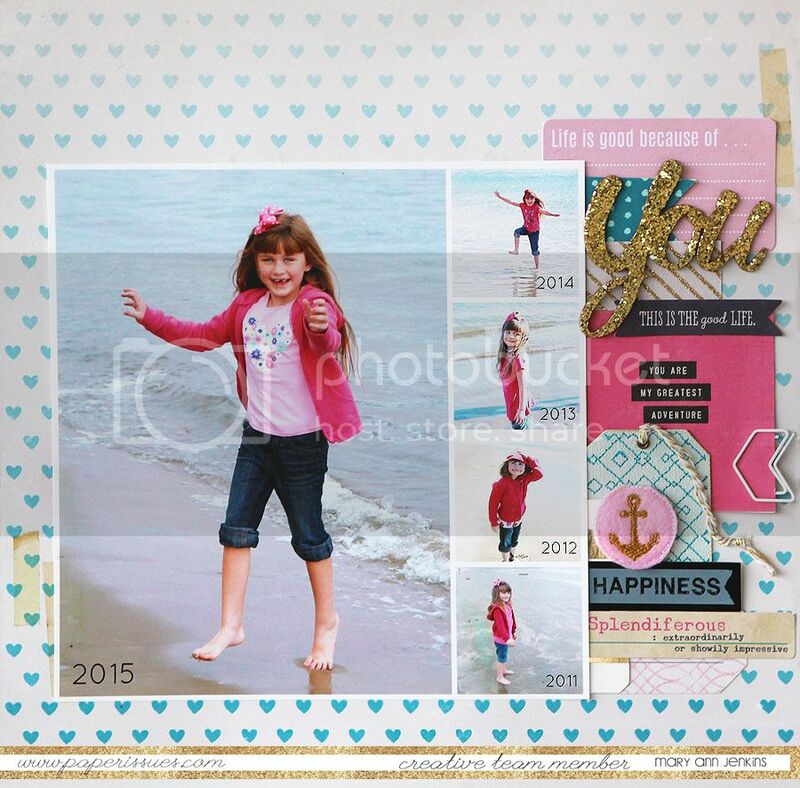 I had 5 photos of my daughter that I wanted to include on the layout, all were taken at the same beach over the last 5 years, notice how pink has been her favorite color since she was 2 ;) I made a large collage using all 5 photos, then added it next to the layers of tags, clips, papers, flags and that cute anchor paper pop. Be sure to check out the Paper Issues blog for more Swag Bag inspiration. And...check out the PI store, and use code: Mary Ann for 20% off your order!! I love this layout and the pictures that show her growth.